Over the past few months I have been working with some volunteers at the Natural History Museum to make the museum's collection of recorded insect sounds available online. This work-in-progress can be viewed online at the Wildlife Sounds Database. The collection reflects the research interests of the BMNH Acoustic Laboratory during the 1970s-1990s: the bulk of the collection relates to European Orthoptera (grasshoppers and allied orders). The Wildlife Sound Database is a modified instance of the Scratchpads virtual research environment (Smith et al, 2011). This collection contains the raw data underpinning a number of scientific publications (e.g. Ragge, 1987; Ragge & Reynolds, 1988). The recordings may also be used for future taxonomic work (in some instances voucher specimens exist in the NHM Entomology collection) and as a training set for machine learning algorithms. 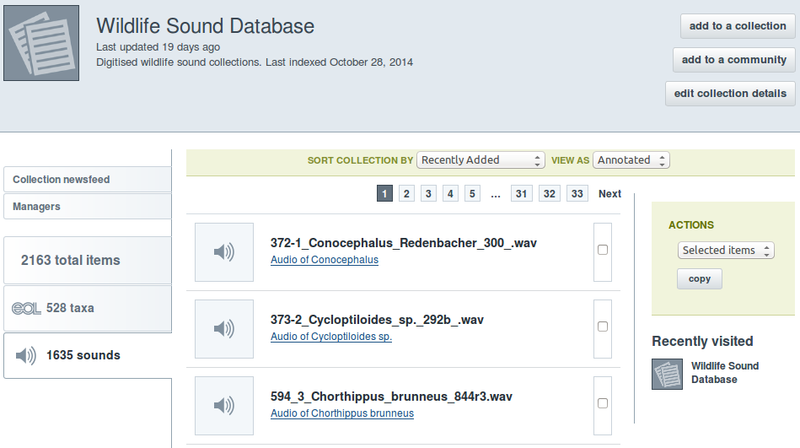 Recordings with compatible licences are shared automatically with the Enyclopedia of Life through the Wildlife Sound Database Collection. The dataset is also available as a DarwinCore Archive at http://sounds.myspecies.info/dwca.zip (Baker, Rycroft & Smith, 2014). 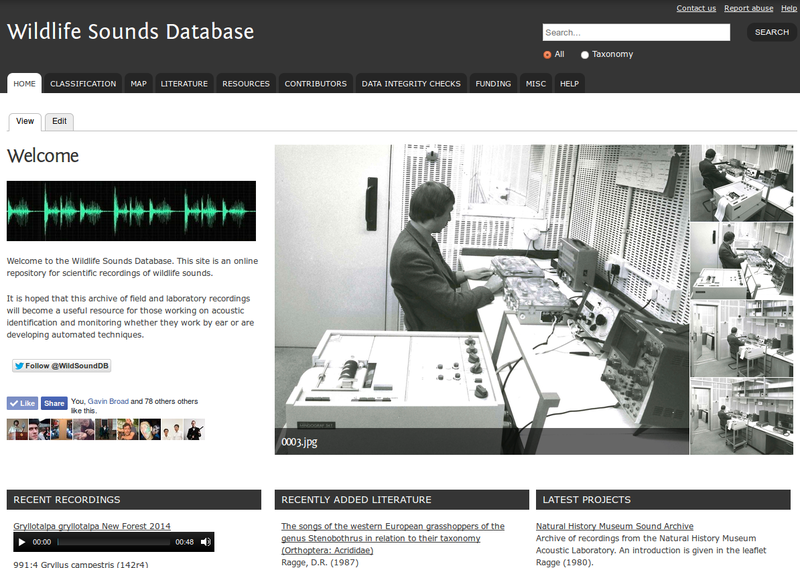 Current development of the Wildlife Sound Database is through the NHM funded project Developing the NHM Wildlife Sound Archive. This project will develop annotation tools to annotate sections of recordings, allowing differentiation between voice introductions and different types of calls, as well as between calls of different species on the same recording. In addition we will integrate analysis tools using the seewave package for R.
As well as technical developments this project will increase the number of recordings available through the addition of new projects to the Wildlife Sound Database. The Godfrey Hewitt collection (University of East Anglia) will be digitised and made available (this is likely to contain recordings underpinning important works on hybrid zones and post-glacial recolonisation of Orthoptera). 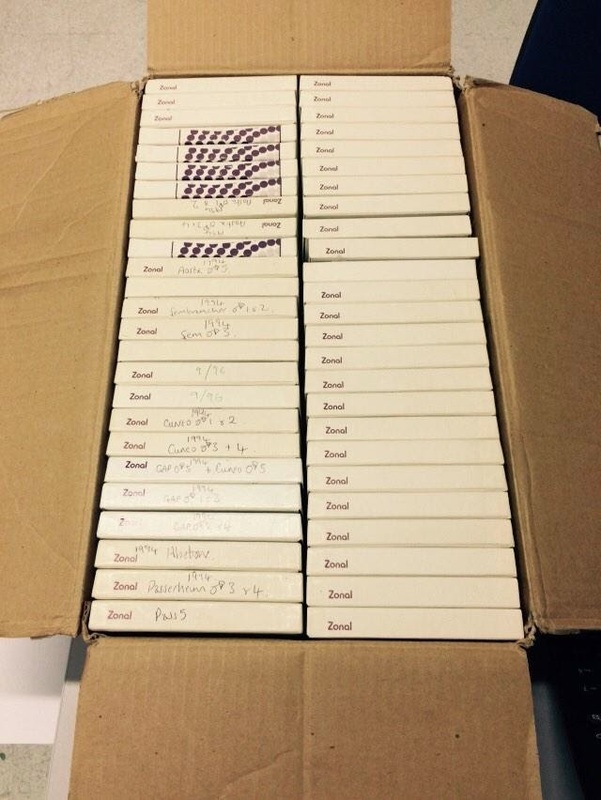 The Global Cicada Sounds Collection will include cicada recordings from around the world.